Nasrettin Hoca is made up of 70 separate pieces of wood. There are 15 different types of wood: Walnut, Root Walnut, two different Spalted Linden, Pear, Alder, Poplar, Ayous, Doussie, Wenge, Cherry, Merbau, Spaltek White Beech, Ovangkol, White Poplar. They are glued together on a Birch Plywood. NASREDDİN HOCA (1208-1284) A popular scholar, He was famously considered the foremost protagonist of comical tales with an emotional content or other messages. 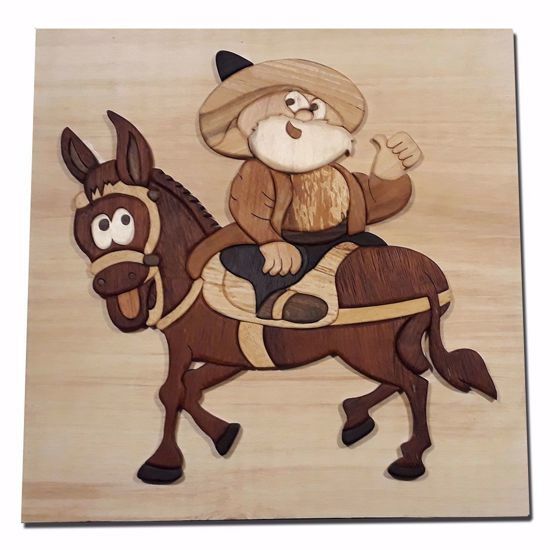 Another important element in Nasreddin Hodja stories is the donkey, a reflection of the feelings of the people. 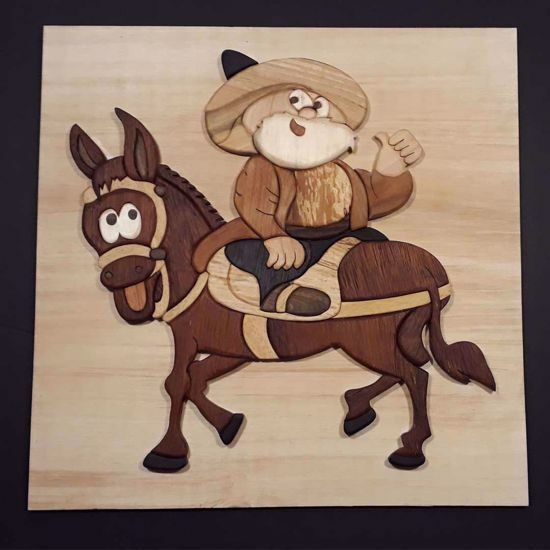 It is impossible to imagine Nasreddin Hoca without his donkey, which is itself a vehicle of satire. In one of his stories Hodja was going somewhere, he got on his donkey with his back facing to the front. The people yelled at him: You are sitting on your donkey the wrong way round. No, he said. It's just that the donkey is standing the wrong way round.